Do You Cling To Old Beliefs Too Long? 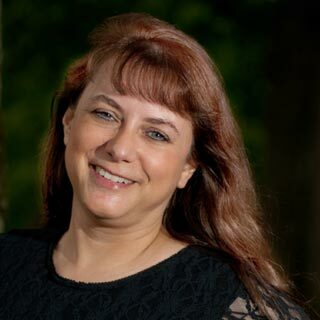 I’m honored to welcome another talented author to my site today for a guest post. I just finished reading her newest release, Hanger 18: Legacy, and she kept me wondering right to the end. (You can read my full review of the book on Goodreads or the book’s Amazon page–links below.) So now let me introduce you to the author! Jennette Marie Powell is the author of several science fiction romance novels. A lifelong resident of the Dayton, Ohio area, she likes to dig beneath the surface and find the extraordinary beneath the mundane, whether in people, places, or historical events. While she has no desire to change the past, she enjoys learning about local history, particularly the early 20th century. Her preferred places to time travel are from her computer or museums. By day, she wrangles data and websites in between excursions to search for the aliens and spacecraft that legends say are stashed away on the military base where she works. There’s a lot to be said for having conviction in our beliefs, in being steadfast in our opinions, and consistent in our behavior. Many a politician knows the perils of being labeled a “flip-flopper,” and keeping one’s faith in the face of adversity is a hallmark of religious devotion. But sometimes, beliefs need to be reexamined, and paradigms should be questioned. The trick is in knowing how to respond when our deep-set beliefs are challenged—do we dig in our heels, or do we allow ourselves to question, at the risk of being seen as one too easily influenced or not strong in our own faith? This is at the heart of my new release, Hangar 18: Legacy. The heroine, Lisa Stark, is a programmer, used to dealing with logic and facts. But when she meets Air Force officer Adam Keller, several things seem “off” about him, chief among them an uncanny ability to guess what she’s thinking, to the point he can finish her sentences, even though they just met. At first, Lisa’s able to pass off these instances as situational: “Of course he’d think that—wouldn’t anyone?” Sometimes, she blames herself: maybe she told him that bit of information, and simply forgot that she’d mentioned it. She can’t imagine that there’s any truth to the rumors that he has psychic abilities that allow him to see the thoughts and emotions of others. Adam himself struggles with this as well. Given the risks it would entail if his abilities were common knowledge, he’s forbidden from confirming any of the rumors, even while he struggles with his own disbelief when an unfamiliar presences insinuates itself into his mind. He’s never believed the stories about Hangar 18 that say there are spacecraft and alien life forms from the Roswell crash stored beneath Wright-Patterson Air Force Base. But one of the aliens has awoken from hibernation, and if Adam doesn’t free him, the extraterrestrial’s telepathic barrage will eventually kill Adam. Only when Adam considers the difficulty that others, like Lisa, have regarding his psychic gifts, does he allow himself to think that maybe there’s some truth to the stories. While Adam searches for the alien, a relationship develops with Lisa, whose software is key to releasing the being. But Lisa’s disbelief in Adam’s abilities persists, despite growing evidence to the contrary. Even when Adam decides he owes her the truth and confesses, she thinks he’s joking and laughs it off. When he tells her about the alien who’s telepathically communicating with him, she concludes Adam is nuts. But he’s piqued her curiosity, and she follows him. Concerned that she’s put herself in danger, Adam confronts her with thoughts she’s never voiced—thoughts he’d have no way of knowing, unless he truly could read minds. Spooked, Lisa flees—right into a trap, where she finds herself face-to-face with something else she never believed in: the extraterrestrial being. Left to die, there’s only one way out–to put aside her long-held beliefs, and try to contact Adam psychically. What about you? Have you ever found yourself in a situation where you’ve held onto an old belief or opinion for too long? Have you ever questioned such a belief, but changed your mind when confronted with evidence to the contrary? Any questions for me about the Hangar 18 legend, or my other books? I’d love to hear from you! 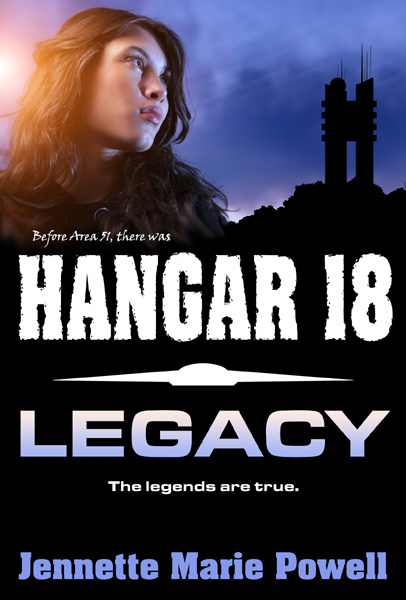 Hangar 18: Legacy is available in ebook and print form from Amazon . For more information, visit Jennette’s site at www.jenpowell.com/books/other-books. Review copies in other e-formats are available—contact Jennette if interested. *Disclaimer from Marcy* The Amazon links to Hanger 18:Legacy are my affiliate links. Marcy – thanks for having me here! Emma, I know I’ve held onto some wrong perceptions about myself for too long, too. You’re right – those are some of the hardest to kick. And yes, Hangar 18: Legacy is available in paperback! How about the perception that most of us have when we are young–we don’t have to take care of ourselves because we have got lots of time to do that later. As you age and discover you no longer have as much time as you thought you have to let go of that belief. Been there. Done that. What a great synopsis of the new book. It hooked me. Got to go download it now. Oh, yes! I’ve had a lot of my beliefs challenged. So interesting when you begin to see yourself in a different light! Thanks again for hosting me, Marcy! Intriguing premise! When transitioning from my teens into to my 20s, I actively let go of most of my belief system. So now, as a “mid-lifer” I find myself saying “Young people these days…” and have to challenge myself every time! As for your questions, I think as we grow up there are many times where we question our beliefs – and that’s a good thing. It’s important to challenge ourselves and what we stand for to make sure we’re where we really want to be.